A Very Happy Tamil New Year for LiveChennai viewers! 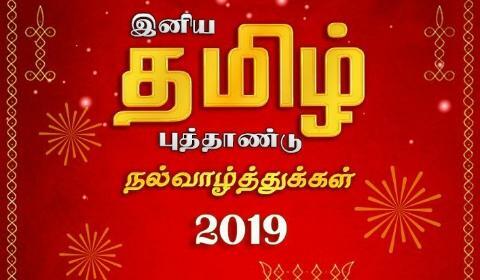 The1st day of the Tamil calendar month Chithirai, generally falls around 14th April of the English year and it is celebrated as the New Year by the Tamil people. There is an elaborate celebration with near and dear with vegetarian feasts and colourful rituals! This Tamil New Year is called ‘Vikari’. Tamil New Year day is considered to be celebrated from 3rd Century as recorded in one of the Tamil classic literature ‘Nedunalvadai’ by the poet Nakkeerar. In legends, it is considered as the 1st day when Lord Indra visited the Earth to make sure that there were a peaceful harmony and a state of satisfaction among his people. Another legend stated that Lord Brahma created all of the universes on this day. On the eve of the Tamil New Year day, the women decorate all of the homes with Kolam designs (Rangoli patterns). This is because it is believed that it is lucky to see things that will bring you success first thing in the day. People to take herbal baths on this day. They purchase and wear new clothes. A visit to the temple is a ‘must’! Raw mangoes are offered to various deities and Panchangam is read aloud. There is also a vegetarian feast which includes an assortment of foods such as mangoes, neem leaves, Veppam Poo (neem flower) Rasam, Fried Appalam, Tamarind and coconut milk. Here again, is the LiveChennai’s heartiest and happy Tamil New Year greetings to all customer!